This was the David Duke we’d all been hearing about. 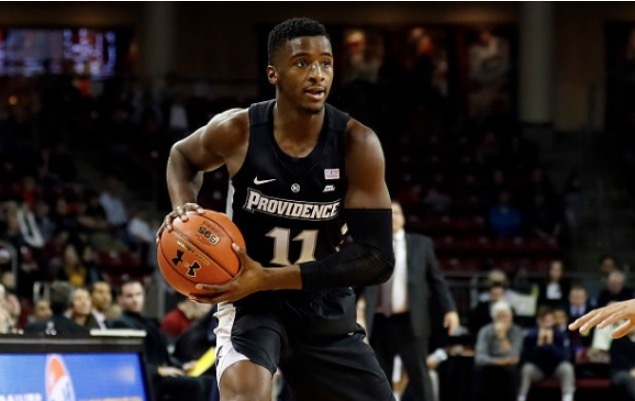 The freshman guard sparked Providence’s 76-67 victory against South Carolina on Saturday afternoon with a career high 20 points. The Friars were in a bit of trouble late in the first half, trailing by 11 as the halftime buzzer approached. That’s when Duke buried a 3-pointer right before the break to cut the Carolina lead to 35-27 heading into halftime. Twelve of Duke’s 20 points came in the second half, including a thunderous one handed slam that capped three straight possessions ending with Friar dunks. Fellow freshman Jimmy Nichols (a South Carolina native who got the start) kicked it off with a loud tip dunk, which was followed by a left handed Nate Watson dunk on a sweet pass from Alpha Diallo, and finally the Duke slam. 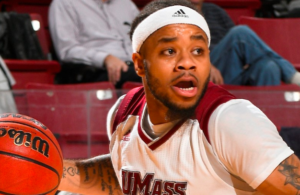 The three dunks came in a span of 70 seconds and gave Providence a 54-49 lead. They wouldn’t trail the rest of the way. Providence would not have been in position to push ahead of the Gamecocks if not for a mini-burst from a third freshman starter, AJ Reeves. PC’s offense sputtered for the opening 25 minutes of this one, until Reeves made a layup and was fouled, then buried a 3-pointer on the next possession. Isaiah Jackson made two foul shots on ensuing Providence’s possession, then Duke threw down a transition dunk to cap a 10-0 run to push the Friars ahead 44-43 with 13:56 remaining. Momentum swung during that 80 second span and it never swung back. Alpha Diallo was once again the stabilizing force for Ed Cooley. The junior wing started this season with three straight double doubles heading into Saturday, and came up a rebound shy of a fourth in a row. Diallo scored 17 points on 5-8 shooting from the field and 7-9 at the free throw line. He added a season high seven assists, and may have finished with a triple double had foul trouble not tied him to the bench in the first half. 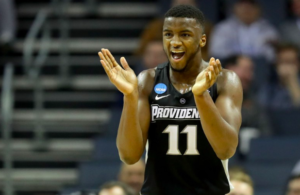 Diallo has done everything for Providence this season. He’s averaging 19.5 points, 10 rebounds, and five assists per game. PC lived at the free throw line in the second half, making 16-20 at the line. They shot over 50% from the field (15-29) and beyond the arc (3-6) in the closing 20 minutes. As he had against Holy Cross, Ed Cooley played 11 men in the first half and then shortened the rotation to seven in the second. Jackson and Duke both played all 20 minutes in the second half, Diallo went 19, and Nate Watson played 15. With the win, Providence takes on Michigan tomorrow afternoon at Mohegan Sun. The Wolverines were the national runner-up last year, falling to Villanova in the final. 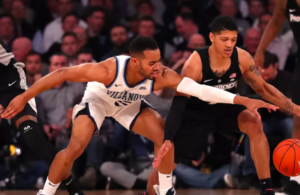 They enacted a measure of revenge on Nova earlier this week, pummeling the Wildcats, 73-46, on Villanova’s home floor. Michigan is 4-0 on the season and defeated George Washington earlier on Saturday afternoon. Michigan is led by senior wing Charles Matthews and super freshman Ignas Brazdeikis, who played with Kalif Young at Orangeville Prep in Canada. Maybe a kind of crazy comment but Alpha Diallo’s notion of ‘space’ and the way he uses his body reminds one of Oscar Robertson. Hope he keeps improving ! !